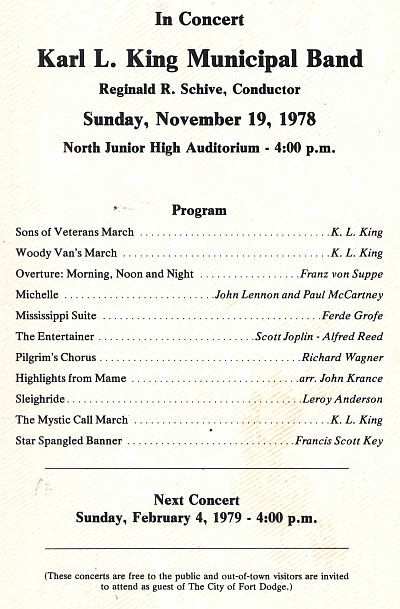 Following the sudden death of Bill Green in 1977, the band elected Reginald Schive as its new conductor, and Keith Altemeier as assistant conductor. Schive, a Fort Dodge native, was a long time member of the band. The above 1979 photo taken in the Phillips MS Auditorium is thought to be the first formal photo taken with Reg as conductor. 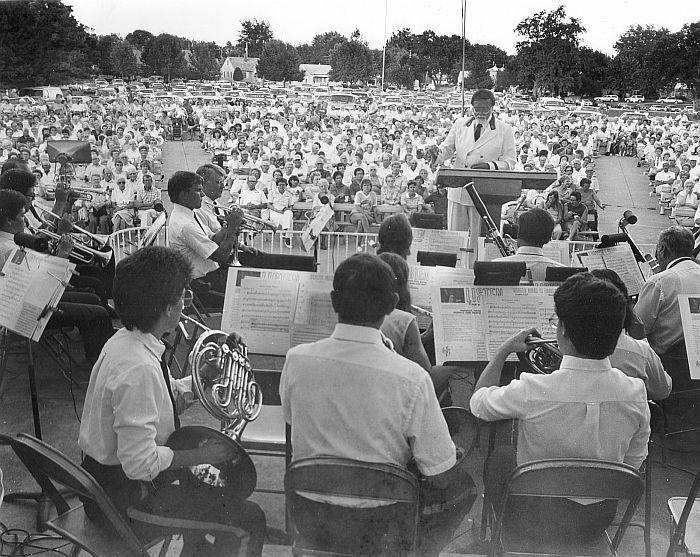 This summer concert photo is taken from the back of the bandshell in Oleson Park.